No. 632, "Winter River", Watercolor, 22" x 15". January, 2006..This painting was accepted for exhibition at the 2007 California State Fair Fine Arts Show and was sold. 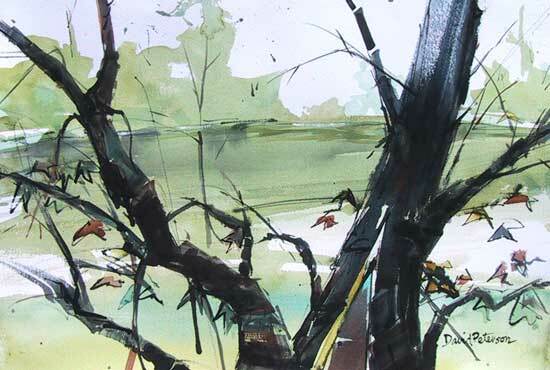 "The artist, with the help of a bamboo stick, some ink and a beautiful winter day, shows you a watercolor view of the American River differently, simply and in a unique manner. David Peterson of Sacramento, paints outdoors year round."